Rick from the Fox Hill Cheese House in Nova Scotia was the nicest cheesemaker I had the pleasure of meeting on my recent trip to Halifax. This delightful, family-run, farmstead business is quality through and through. Sustainable farming practices are employed; they proudly plant the seed, grow the grass, milk the cows, and make fantastic cheese, yogurt, gelato and milk. This is a textbook example of a cheesemaker that focuses on producing good milk which is of course the lifeblood of good cheese. Well, they do & it’s delicious! Most people are familiar with the mozzarella that goes on most pizzas throughout North America. It comes in a brick format or sometimes a ball, both plastic wrapped. Those are lower moisture cheeses, not wildly different in moisture to mass-produced grocery store cheddar. You can even find this in the shape of “cheese string” that gets packed into kids lunches. There is such as thing called fresh mozzarella, or fior di latte as you may have seen in grocery stores. This cheese is pretty well the size of a baseball, it’s white, tastes milky (it isn’t) and comes in a bag with liquid (whey/brine) in it. Think of it like oversized bocconcini, a mild, clean tasting cheese. 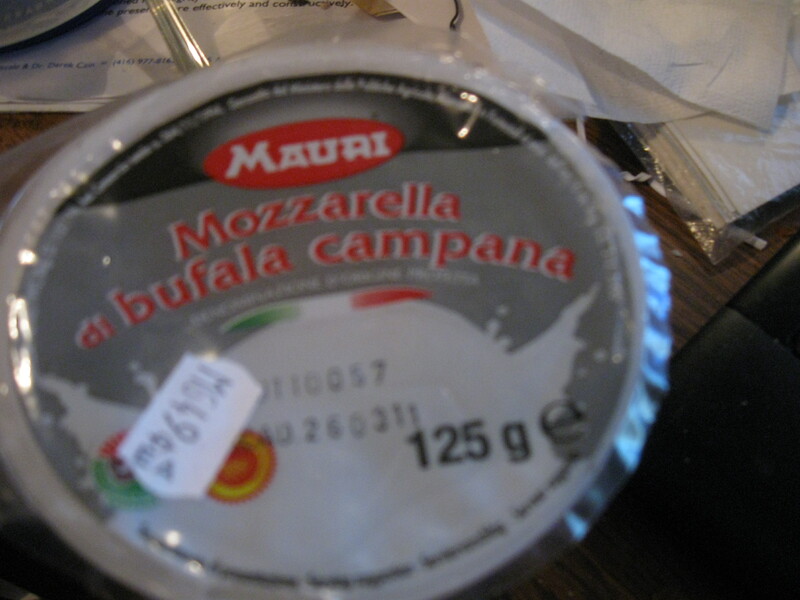 This is what they call mozzarella in its place of origin, Italy. Buffalo mozzarella is fresh mozzarella made with the milk of a water buffalo, so as you can expect, milk from different species has different tastes. You can buy this cheese domestic made which is pretty good, or Italian imported – as much as I love to buy local wherever possible, I have a particular soft spot for this version. We can blame Jamie Oliver for introducing me to this bit of fabulousness. The particular cheese I got was a DPO product (protected origin, so it’s the real thing). 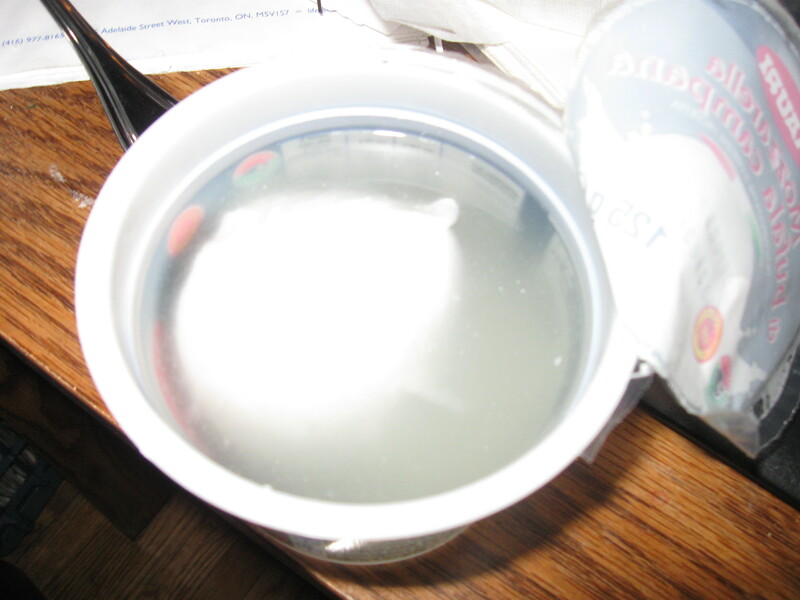 The outside layer is a bit thicker, almost like a protective layer, while the inside is ultra creamy goodness. Slightly salty, milky, but with a certain kick & depth of flavour that is just incomparable. I have been known to eat the entire 125g ball in one sitting, it’s hard not to. Today I had half the ball on my baguette with prosciutto, arugula and pesto, and now I’m eating the other half straight from the container. I will likely drink the brined liquid that it sits in just to get as much out of it as possible, I love it that much. Cashel Irish Blue – Perfect St Patrick’s Day Cheese! Posted in about me, artisan, Artisan Cheese, blue cheese, caseophile, cheese, cheesemonger, cow milk, creamy, Culture, farmstead, grocery store, Ireland, Irish, pasteurized, St Patrick's Day | Comments Off on Cashel Irish Blue – Perfect St Patrick’s Day Cheese!